WINTER PARK, Fla. (February 12, 2019) — The Supra Boats Pro Wakeboard Tour (PWT), the industry’s longest-running professional wakeboarding competition circuit, will visit three new venues in 2019 as well as returning to another venue, after a one-year hiatus to comprise a four-event schedule. The 27th year of the Supra Boats Pro Wakeboard Tour will open in May and run through August, with the world’s top-16 professional wakeboarders competing for the coveted championship. The season will open with a debut event at August Lakes in Katy, Texas, (outside of Houston) May 17-18. The PWT then heads to the Mantua Reservoir in Utah (outside of Salt Lake City) on June 22, following an awesome showing in 2017. The third stop heads to Ford Lake Park for the first time ever in Ypsilanti, Mich., (outside of Detroit) on July 13. The 2019 season wraps up with the series’ first visit to Broadside Harbor Lakes in Boise, Idaho on August 3. 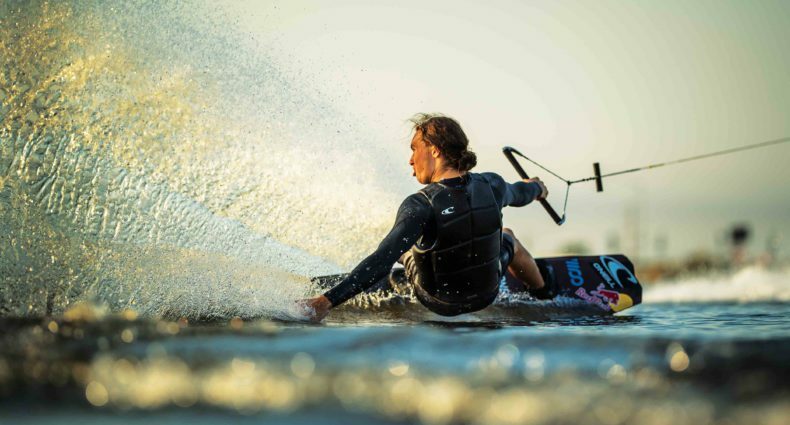 May 17-18: Katy, Texas — August Lakes is a beautiful, 100-plus-acre, residential watersports community in Katy, Texas, providing an awesome backdrop for all the action. June 22: Mantua, Utah — Sitting at an elevation of 5,000-feet-plus, the Mantua Reservoir rests on 500 acres at the edge of the small town of Mantua. This location provides good conditions for the riders to throw down. July 13: Ypsilanti, Mich. — Ford Lake was formed in 1932 when Henry Ford completed a dam over the Huron River to supply hydroelectric power to one of his plants. The lake covers 958 acres and is surrounded by the six-park Ford Lake Park System, which will provide fans of the Supra Boats Pro Wakeboard Tour plenty of room to watch the contest. August 3: Boise, Idaho — The 2019 Supra Boats Pro Wakeboard Tour champion will be crowned at the final stop at Broadside Harbor Lakes in Boise. Broadside Harbor Lakes is a well maintained, man-made set of lakes, well-known for having very smooth and calm water conditions. The eight highest-ranked competitors from 2018 pre-qualify for the 2019 tour, leaving eight spots reserved for the best performances at the qualifying event on May 17. Pre-qualified riders include: Cory Teunissen (2018 overall winner), Supra Team rider Nic Rapa, Harley Clifford, Tony Iaconni, Jake Pelot, Tyler Higham, Cobe France and Mike Dowdy. In addition to wakeboarding, the Supra Boats Pro Wakesurf Tour brings more wake action to each stop in the form of wakesurfing. Supra Team riders Sean Silveira and Parker Payne, as well as Jake Caster pre-qualify for the 2019 Wakesurf Tour. The Supra Boats SA550 will provide the pull for the tour again in 2019. Throwing a huge wake, it’s built to push athletes to new levels and taking contest riding to new heights. Skier’s Choice, Inc. is the proud manufacturer of Supra and Moomba performance inboard wakeboard, wakesurf and waterski towboats. Supra has been a leader in the inboard industry since 1981. The Supra brand is synonymous with innovative styling, luxurious interiors, highest construction quality, and unsurpassed wake performance. The Moomba brand delivers quality and performance far above its class. Moomba offers the best wake performance technology and none of the fuss. The company is privately held and is located in Maryville, Tennessee. In addition to title sponsor Supra Boats, the Pro Wakeboard Tour is sponsored by: Indmar, Boatmate Trailers, JL Audio, PTM Edge by Protomet, Fat Sac Ballast Systems, Zero Off, Acme, Ronix, Kawasaki, Connect-A-Dock, Yamaha Generators, ZF Marine Propulsion Systems, Fuse Lenses, TidalWake.com, Lava Rubber, Corkcicle and Epiphone.